I have enjoyed Hilary Boyd’s books ever since I read Thursdays in the Park some years ago so I was delighted to have the chance to read this book ahead of its release later this month. The book begins with a very romantic scene between Jack and Stella, who are clearly a young couple very much in love and who seem just perfect for each other. Fast forward thirty odd years and we find that Jack and Stella have split up. Both have new partners: Jack is married to the much younger Lisa while Stella has been in a relationship with Ian for some years though they don’t share a home. When their daughter Evie experiences difficulties in her pregnancy while her husband is working far from home, they find themselves reluctantly having to spend time together while they support her and their grandson Arthur. With two significant anniversaries looming, they find themselves forced to think about what tore them apart all those years ago. This is a difficult book to review without giving too much of the plot away but I will try my best. What Jack and Stella went through as a young couple was unbearable to think about. 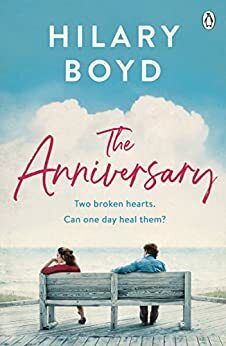 Hilary Boyd writes so perceptively about their emotions and through occasional chapters set in the past really explores what went on and how they reacted. You’d need to be really hard-hearted not to feel for this couple. Even although how they behaved, Stella in particular, sometimes seemed irrational, it is hard to see how you could behave rationally in such a situation. I know this is all a bit vague but I really don’t want to give away what happened. 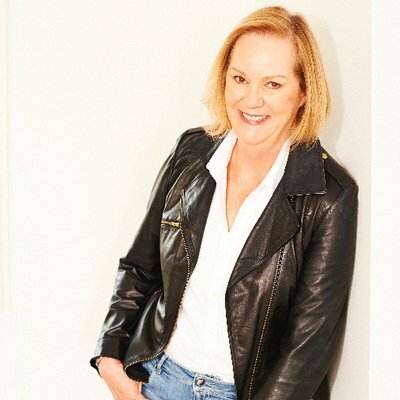 Hilary Boyd’s skill is in showing just how her characters felt and responded and how their earlier experiences reverberated throughout their lives. Jack and Stella clearly still have feelings for each other, can sense that deep love they once had for each other. You really feel that the time has come for them to really talk over their feelings so they can move on with their lives. In The Anniversary, Hilary Boyd really gets to the heart of the relationships and feelings of her characters. I particularly like how she looks at love through the eyes of older characters, characters who have much to contend with. Characters who can be pulled in many directions as a parent, as a grown-up child, as an employee, as a husband or wife, as a lover. As she rightly says herself, there is no age limit for falling in love! The Anniversary is a poignant and moving story. I agree – ‘hen lit’ much underrated!